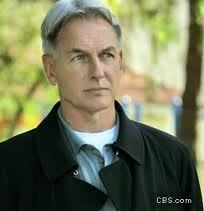 NCIS is my favorite TV program. It is a program starring the Naval Criminal Investigative Services that serves the US Navy and Marine Corps of killings to the troops while on base or even in the theater of operation, sometimes. In the story we have the beautiful Ziva David (Cote de Pablo) who plays the Israeli special agent, daughter of Eli David, Head of the National Intelligence Agency of Israel, or Mossad. She seems to be on loan from Israel and is a very experienced agent. She gets to see how the American program operates, or rather they get to see how skillful Israeli Mossad agents are. This is how Israel is putting trust into the USA and vice versa, and how they work together. NCIS even plays in Egypt and Syria, it is so popular. It's through this program that many foreigners are learning English. How about a theme for their program where the Israelis have to prevent sophisticated weapons such as missiles from falling into the hands of Lebanese terror groups like Hizbullah, who have joined President Bashar al-Assad in his war against half of his people in Syria. It is NCIS's job to find out where the leaks are coming from about Israeli strikes on arsenals of missiles. Syria would also use them in a moment on Israel. Israel strikes a warehouse in Syria that doesn't destroy all of the Russian-made anti-ship cruise missiles that were its target. They wonder how they could have missed them all. They knew their information was accurate. These missiles are a threat to both American and Israeli ships. Israel did a service in knocking them out for both countries. Since sailor's lives in the USA navy are now at risk, the NCIS squad is called into finding the information leak. It comes out that the Syrian rebels' intelligence network had identified newly supplied Russian Yakhont missiles being stored in the depots that were hit and that "foreign forces" had destroyed the missiles in Latakia, hinting that the foreigners were Israelis. American intelligence analysts tell the reporters that while the warehouse was destroyed, at least some of the missiles had been removed from their launchers and moved before the attack. The question was "why?" Who told them of the upcoming strike from the IAF? Now the cover-up part of the story. The Assad government was hiding the fact that the missiles had been missed and they did this by setting fire to launchers and vehicles at the site to give the impression that the strike had landed a decided blow. This had been Israel's 4th airstrike to Syria, a country that has allowed over 100,000 of its citizens to die in their Civil War. NCIS discover that leaks about the missiles and Israel's attempts to end them all has been leaked into the mass media from the President of the USA himself. He and his staff alone have been leaking details of the Israeli military operations against the armed forces of Bashar Assad of Syria. The leaks include reporting Israeli air and naval strikes on advanced Iranian and Russian weapons that arrived in 2013. Why? The President of the USA believes that these strikes could result in regional war. We can have Ziva uncover such leaks by dating one of the leakers. She has her ways with men. She uncovers their resentment in the US Intelligence community over Israeli assessments about Egypt, Iran and Syria. She learns of the latest leak about the July 5th Israeli strike on a recent shipment of the P_800 Yakhont coastal defense system at Latakia. It is the American diplomats that tell her of the CIA leaking all the information to the press. That would be the nefarious CIA head who is Leroy Jethro Gibbs's (played by Mark Harmon) good CIA friend and could be Thomas Morrow (Alan Dale). . Now Israel will have to plan a 5th attack to get all the missiles. We have Qassem Saadeddine of the Free Syrian Army's supreme Military Council telling that the their rebels' intelligence network had identified newly supplied Russian Yakhont missiles being stored in the depots that were hit but it is disclosed later about not getting all because of the leak, resulting in saving some of them. .
Israel protests the US leaks and Ziva will be able to be a witness to it all. Of course tension is increased with Damascus, who is starting to win their Civil War by killing more people. Now the CIA and Mossad (Eli David) are at odds, leaving Ziva out in the cold. The CIA director is a good friend of the American president. One could say they are in cahoots. As a last recourse, Israel gets backing from the US Congress and Ziva saves the day's episode. She then becomes a dual citizen of both Israel and the USA. The last shocking detail, and my leak, is that this is all based on true facts which are just minus the NCIS characters. Sometimes truth is stranger than fiction could ever dream up. Book: The Secret War Against the Jews by John Loftus and Mark Aarons about spying on Jews in recent history. It's the shocking story of Israel's betrayal by the Western Powers.